With the Chameleon® Extender, you can have one brick collar and have the utility of two bricks. You can have more than one positive and negative contact point. Additionally, with the Chameleon® Extender, you can move your contacts and change the number of contacts to have optimal contact and best sensitivity for your dog. You can move the contact points as frequently as necessary to eliminate possibility of necrosis. 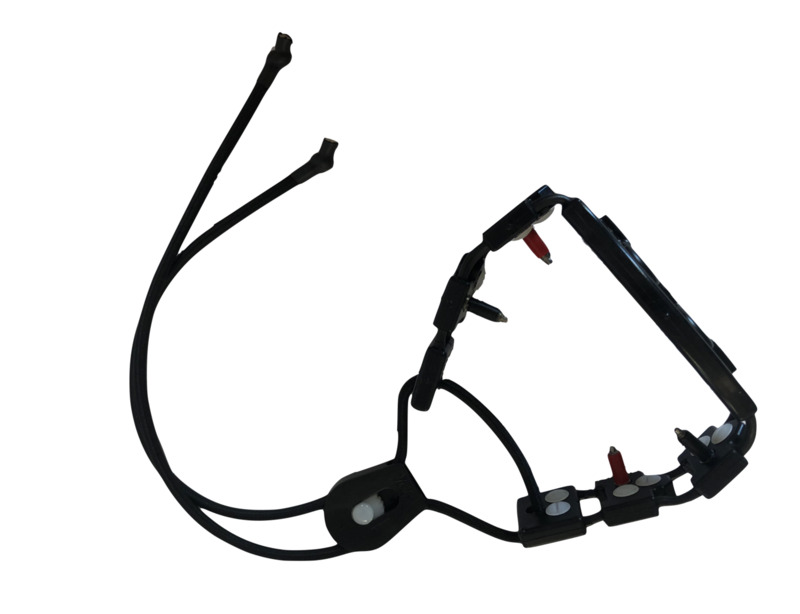 Additionally, you can use the Chameleon® Feather Contacts which are compatible with the Chameleon® Extenders (and all Chameleon® collars) and give the best contact with flexible comfort. The Chameleon® Extender Multi Brand Compatible (CEMB®) is available in Medium size (26,5 cm) and Large size (31,1cm). Measurements do not include any part of the elastic or the Perfect Fit Closure. The medium size (26,5 cm) has one central island in the center and 2 islands on either size, each of which can accommodate up to 3 contact points/plastic screws, and the end island that can support 2 contact points/plastic screws. For the dog to feel something there must be at least one contact point in a negative island and one contact in a positive island. Islands that are mirror images of each other or adjacent to each other make up a positive and a negative island. With one receiver have double contact (as if you have 2 receivers)! Have your contacts on the side and not on the receiver thus making better contact and more comfort for your dog! Change the position and number of your contacts for best communication! Enjoy using the Chameleon® feather contacts! *Pricing may vary for shipping outside the US.